Located on the corner of Davis Crescent and Carlton Gore Road is where you’ll find Tucks & Bao – an Asian fusion street food eatery that was newly opened in November 2016. Asian fusion is without-a-doubt an enormous trending style of cuisine that has been going strong in Auckland and eateries offering their interpretation of this trend have been proven to be quite successful with Auckland diners. With dishes designed for sharing, there are plenty of options at Tucks and Bao including seven different types of baos and various vegetarian and vegan dishes. My dining companion and I stopped by for a quick dinner on Friday and ordered a few dishes to share. The Bao Boy bao slides with Orleans fried shrimp, tomato, pickle, lettuce and a dollop of sriracha mayo was delicious. The crispy fried shrimp with the light tartness from the pickle was a great combo. The Gangnam Slaw salad was a clear winner of best dish of the night. With a mixture of fresh vegetable, crispy tofu and an incredible spicy Korean dressing, this salad was moreish with just the right amount of kick. Unfortunately, the dish that I was most looking forward to, was a disappointment. I adore chicken and waffles and will always order it when I see it on the menu. 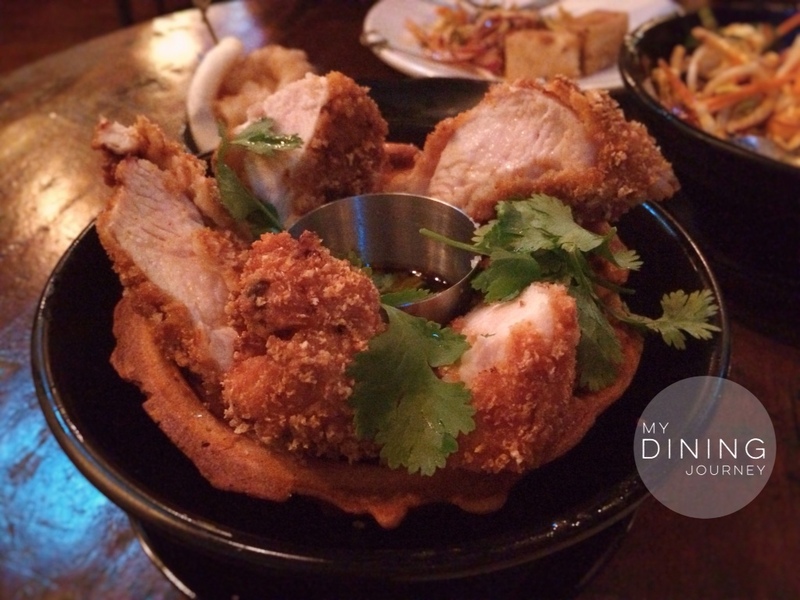 The waffle (served as a bowl) had a light fluffy interior, but it lacked the crispy exterior and we were not fans of the savoury katsu sauce served with the dish. It’s such a shame because the panko-coated chicken breast was scrumptious! On the whole, Tucks and Bao offer satisfying Asian fusion cuisine. With friendly staff and an extensive bar menu, it’s worth visiting whether it’s for a quick dinner after work or a boozy weekend brunch! 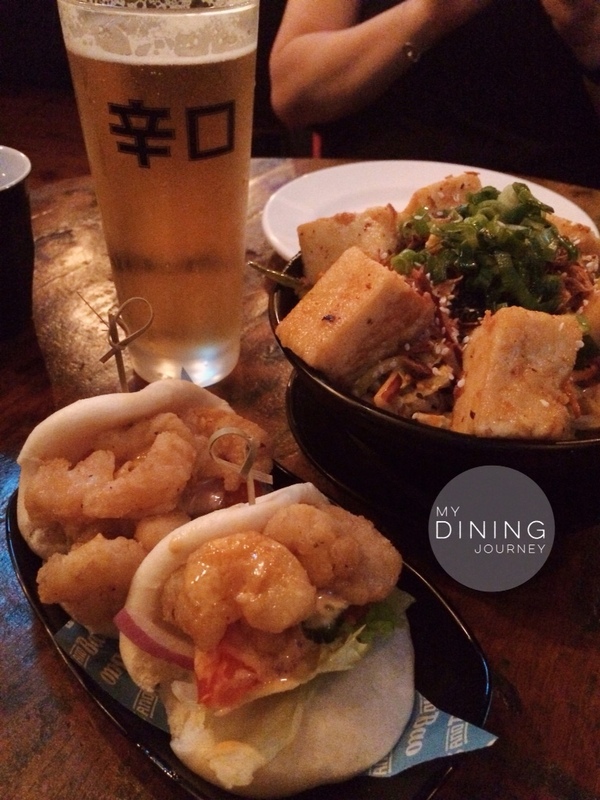 This entry was posted in Above Average, Auckland, Bistro, Causal Dining, Dinner, Fusion and tagged Asian Fusion, Auckland, Chicken and Waffles, dinner, Fusion, New Market, salad, Street Food, Tucks and Bao, Zomato. Bookmark the permalink.